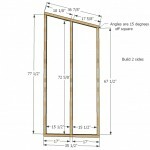 *You may wish to build doors slightly shorter to enable easier opening and closing – recommended to build doors to fit finished opening. 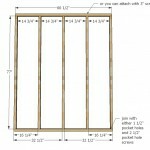 Frame you your back walls. 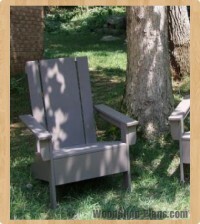 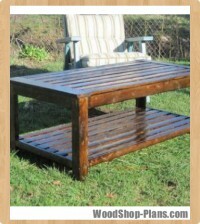 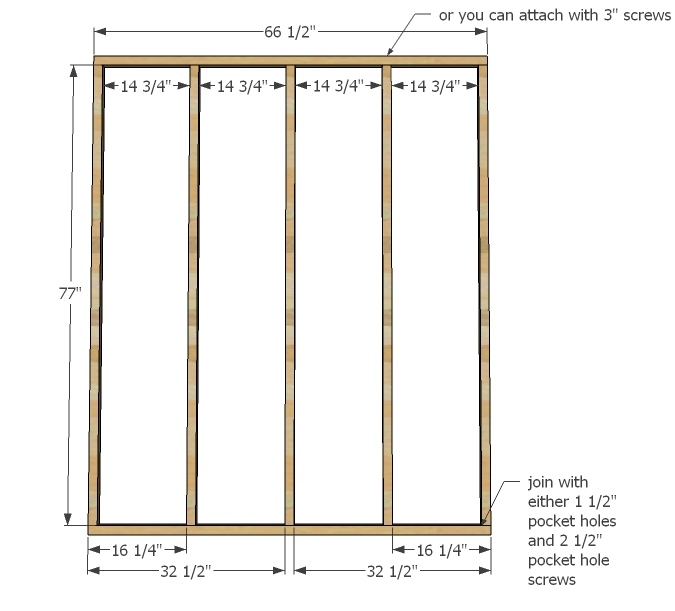 You can use the Kreg Jig or 2 1/2″ screws here. 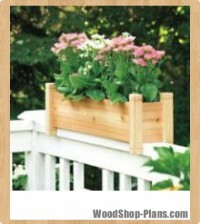 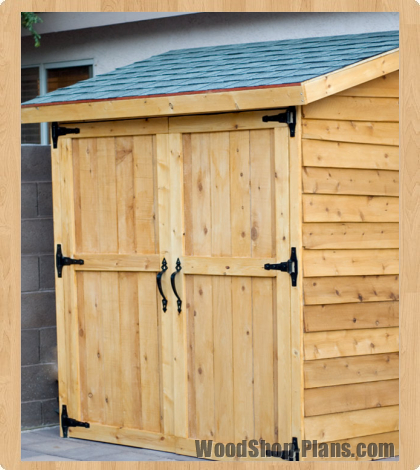 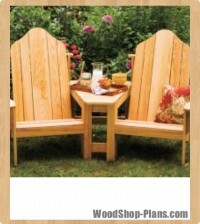 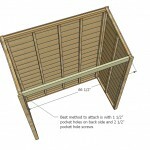 Starting at the bottom and working upward, attach the cedar fence pickets, overlapping 1/2″ as you go up. 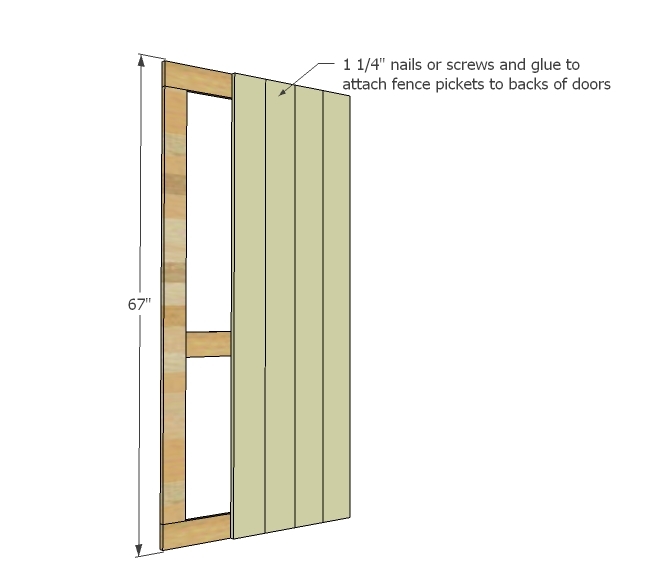 Screw or nail and glue on. 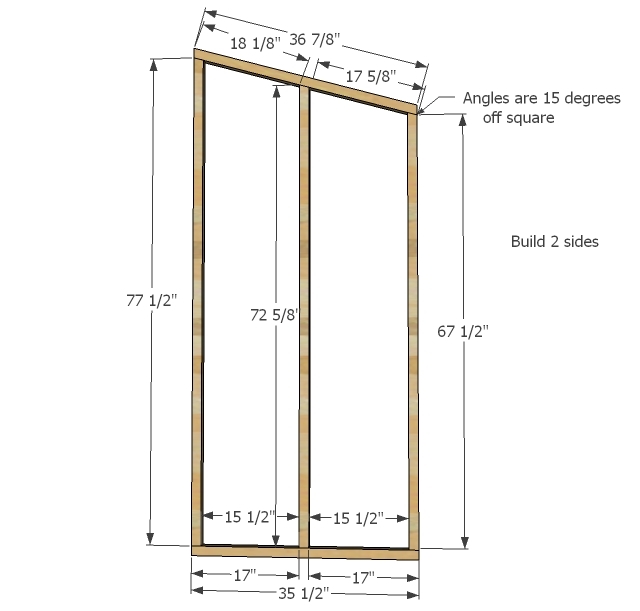 Frame side walls as shown in diagram as you did the back wall. 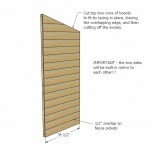 You will need two side walls. 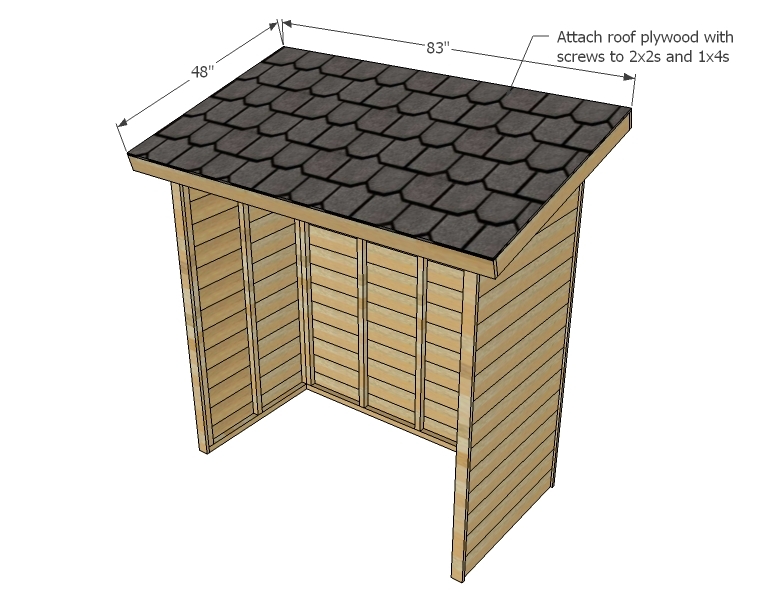 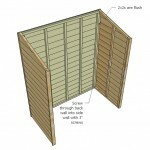 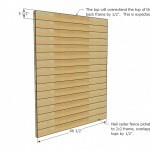 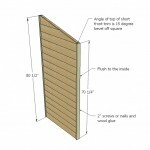 And add the cedar siding to back wall as shown in diagram. 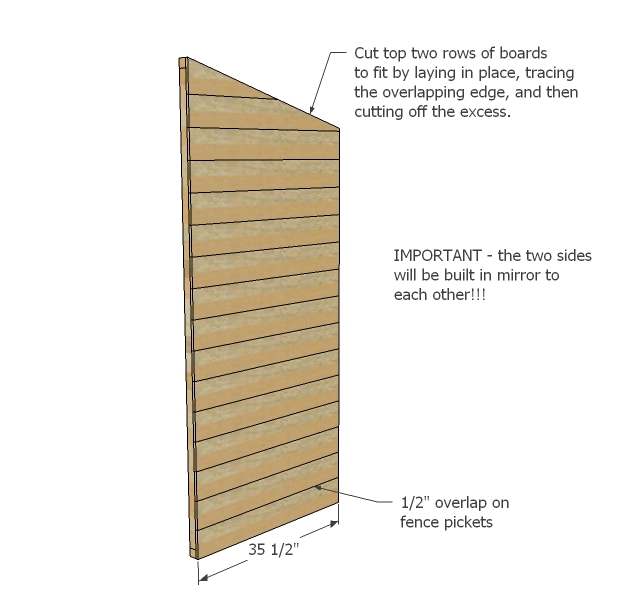 Do not forget that the sides need to be done in mirror! 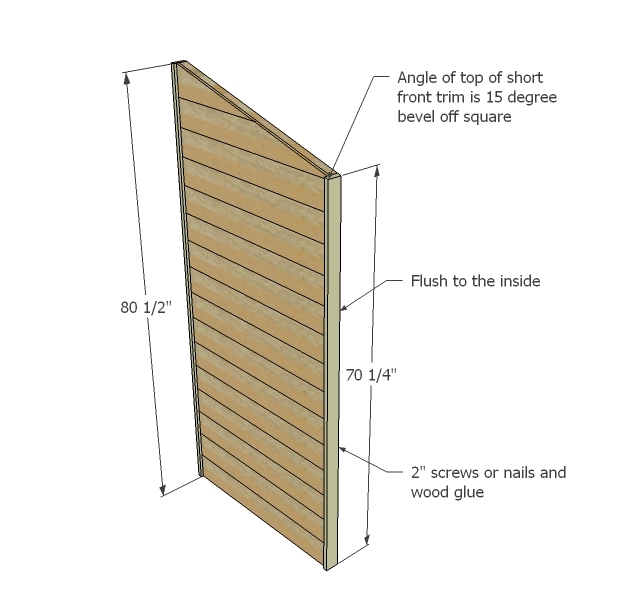 Trim out side walls as show above, flush to inside. Once your side walls are complete, you can attach back walls. 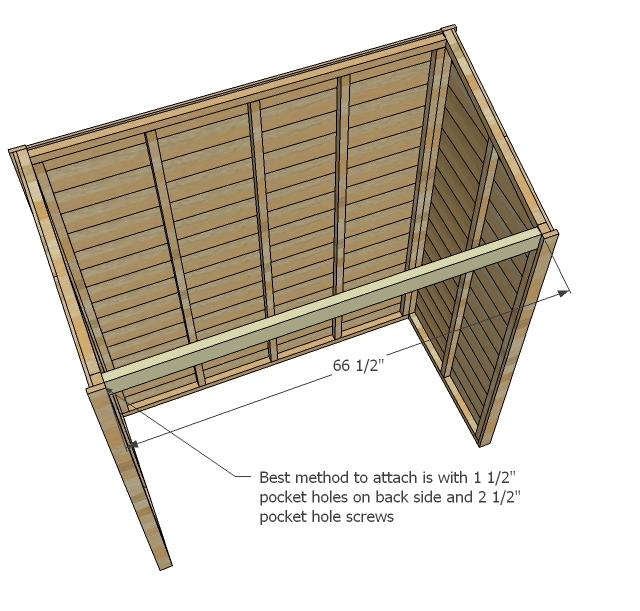 Use 2 1/2″ screws or brackets for easy disassembly. 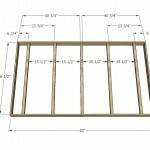 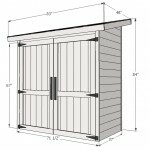 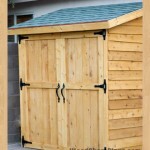 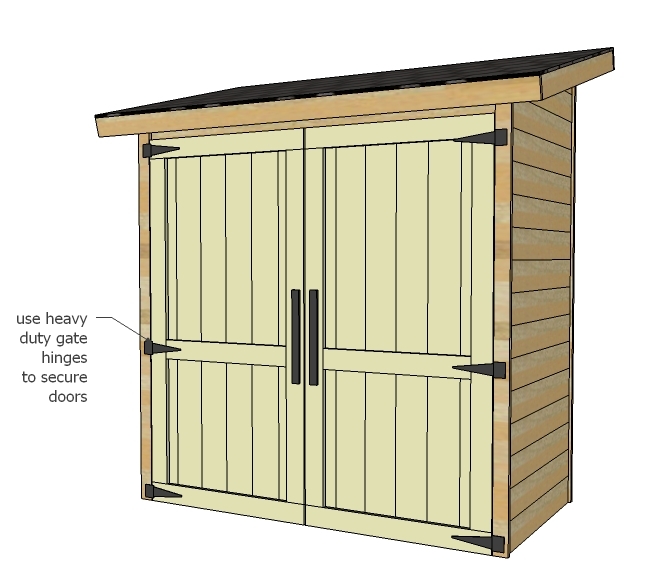 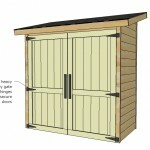 Add header to front of shed. 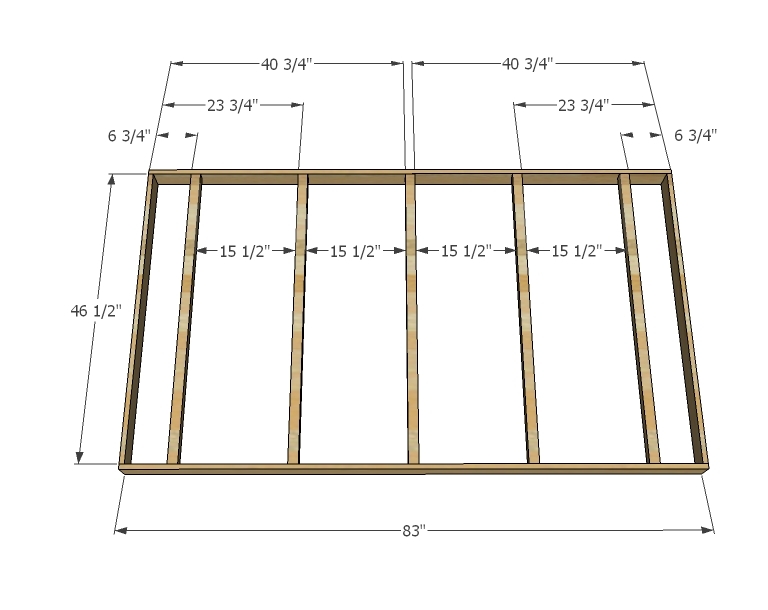 Take a minute here to make sure your project is square. 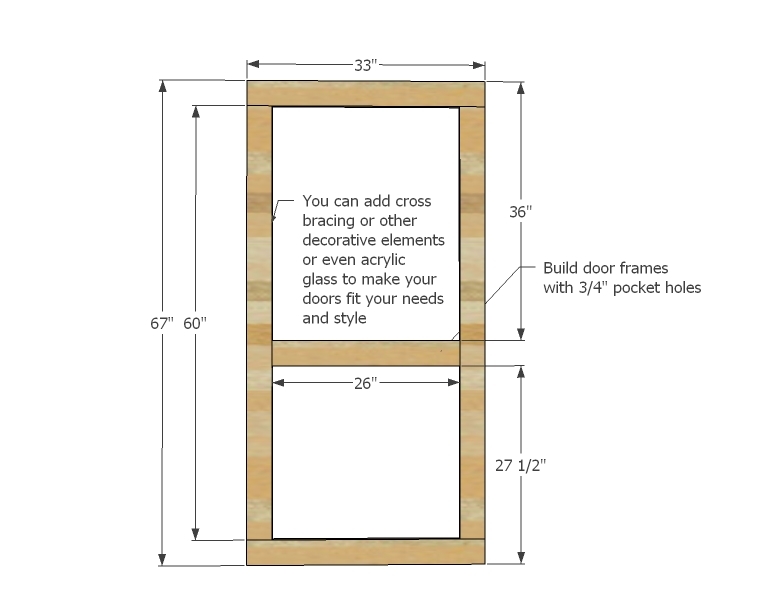 The door area especially needs to be square. 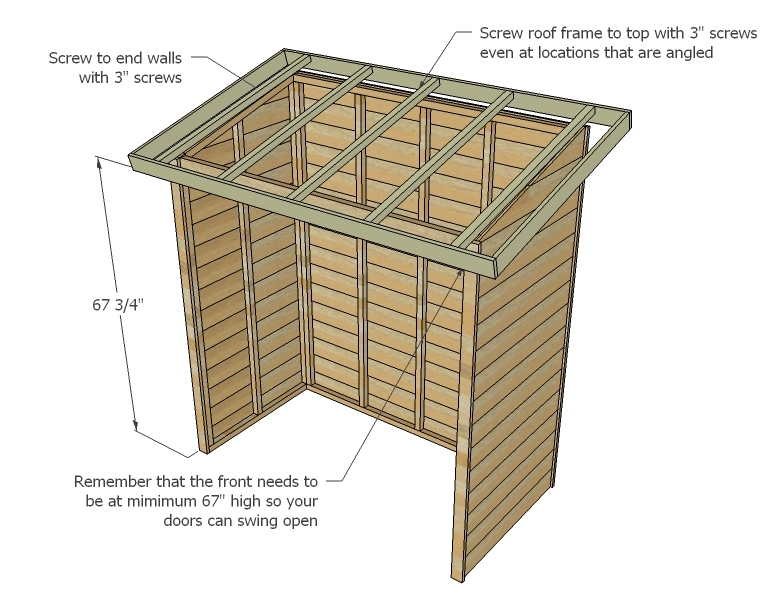 Frame up roof as shown above. 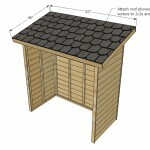 And attach roof to top of storage shed. 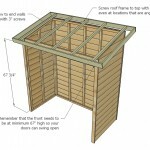 Add plywood and roofing to top of shed. 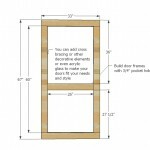 Frame doors up with pocket holes. 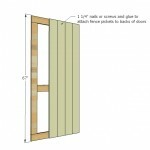 Build doors to fit your openings. 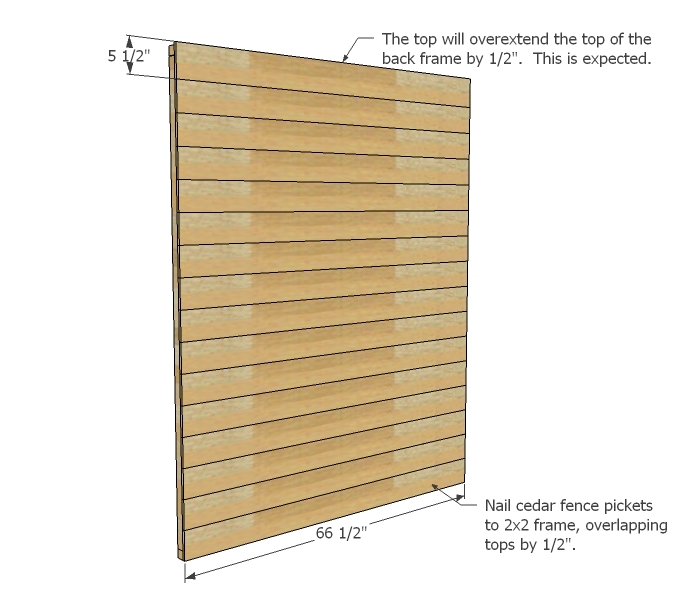 I like to leave 1/8″ gaps. 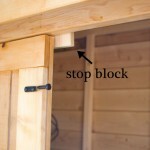 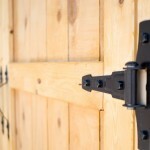 Attach cedar fence pickets to back of doors. 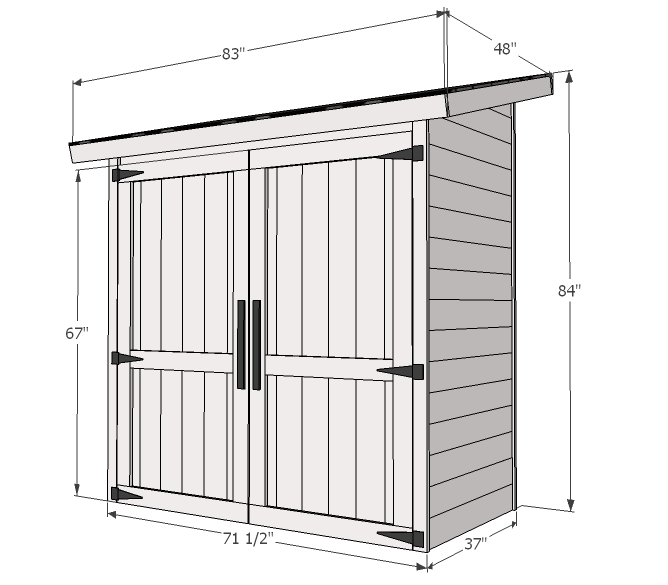 And then install doors to shed. 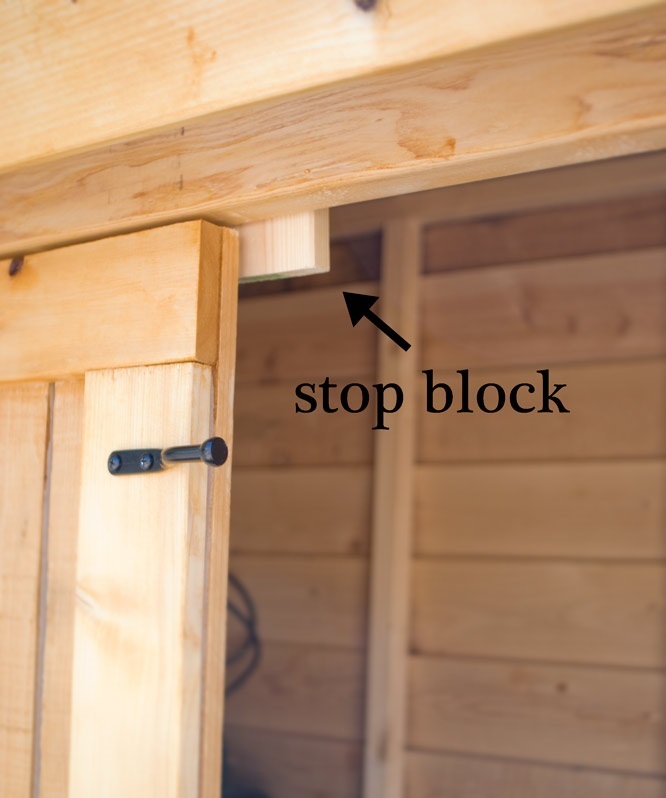 Add stop block to keep doors closed. 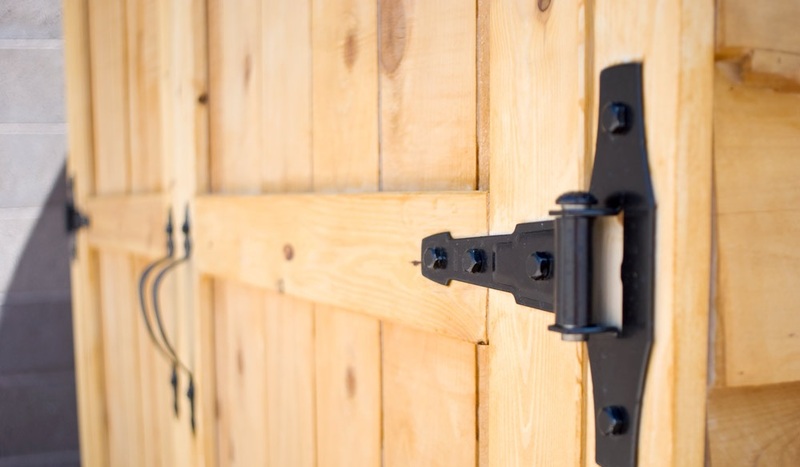 Don’t forget the pretty hardware!